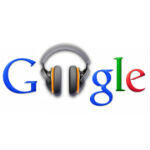 Rumor has it that Google may be looking into upgrading Google Music with a streaming radio type of feature. Word has it that Google is working on putting together its own subscription music streaming service that would compete with options like Spotify, Mog, Rdio, Qriocity, Xbox Music, Last.fm, Pandora, Napster, etc. (there is a lot of competition in this area). The report says that Google will offer both a free, ad-supported tier as well as an unlimited streaming tier, which would have a monthly fee. Supposedly, Google is still in talks with record companies over the service, and could launch with "millions of songs", but no word on how many million. For reference, Spotify, Xbox Music, and Rdio have a library of about 16-18 million songs; Slacker Radio and Last.fm have about 7-8 million; and, Pandora has just about 1 million tracks. There have been rumors that Apple also wants to jump into this already overcrowded field, but those rumors have been stagnant for a while. One roadblock to Google getting a sizeable library of tracks is the fact that the RIAA is once again blaming Google for not doing enough to stop the free advertising illegal sharing of music. The RIAA claims that search engines, including Google, "promote" expanding an artist's potential customer base piracy by showing links to things like Bittorrent sites. And, since the RIAA wants to make sure it makes money and not the artists are protected, it has attacked Google. belt buckles can be found on the moon!